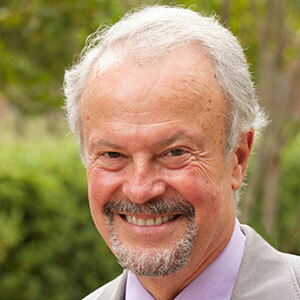 Human rights activist, pioneer for racial equality, internationally recognized expert on sports issues, scholar and author Richard E. Lapchick is often described as “the racial conscience of sport.” He brought his commitment to equality and his belief that sport can be an effective instrument of positive social change to the University of Central Florida where he accepted an endowed chair in August 2001. Lapchick became the only person named as “One of the 100 Most Powerful People in Sport” to head up a sport management program. He remains president of the National Consortium for Academics and Sports and helped bring the NCAS national office to UCF. The DeVos Sport Business Management Program at UCF is a landmark program that focuses on the business skills necessary for graduates to conduct a successful career in the rapidly changing and dynamic sports industry. In following with Lapchick’s tradition of human rights activism, the curriculum includes courses with an emphasis on diversity, leadership, community service, sport and social issues and ethics in addition to UCF’s strong business curriculum. The DeVos Program has been named one of the nation’s top five programs by The Wall Street Journal, The New York Times, Forbes and ESPN The Magazine. In 2009 it was named the nation’s top MBA program for service. In 2015, SportBusiness International named the DeVos Program as one of the TOP 2 graduate sport business management programs in the world. Shut­Out Trafficking is the NCAS’s effort to combat human trafficking with week­long programs on 10 NCAS campuses in 2014-­15 and 10 more in 2015-16. ShutOut Trafficking engages student- athletes, coaches and athletic administrators to help inform their campuses about this huge issue. It is a partnership with the U.S. Fund for UNICEF and the USOC Athletes Advisory Council and is funded by the Fetzer Institute. In December 2006, Lapchick, his wife and daughter and a group of DeVos students formed the Hope for Stanley Alliance, which organized groups of student­-athletes and sports management students to go to New Orleans to assist with the reconstruction efforts in the devastated Lower Ninth Ward. Since 2006, Hope for Stanley members have spent 47 weeks in the city and worked on more than 125 homes. Lapchick was named an honorary citizen by the New Orleans City Council in October 2007. Lapchick helped found the Center for the Study of Sport in Society in 1984 at Northeastern University. He served as director for 17 years and is now the Director Emeritus. The Center has attracted national attention to its pioneering efforts to ensure the education of athletes from junior high school through the professional ranks. The Center’s Project TEAMWORK was called “America’s most successful violence prevention program” by public opinion analyst Lou Harris. It won the Peter F. Drucker Foundation Award as the nation’s most innovative non­profit program and was named by the Clinton Administration as a model for violence prevention. The Center and the National Consortium for Academics and Sports created the MVP gender violence prevention program, which has been so successful with college and high school athletes that all branches of the U.S. military have adopted it. In 1985, Lapchick helped form the NCAS, a group of more than 280 colleges and universities that created the first-of-its-kind degree completion and community service programs. To date, 33,913 athletes have returned to NCAS member schools and more than 14,985 have graduated. Nationally, the NCAS athletes have worked with nearly 19.9 million young people in the school outreach and community service program, which focuses on teaching youth how to improve race relations, develop conflict resolution skills, prevent gender violence and avoid drug and alcohol abuse. They have collectively donated more than 22 million hours of service while member colleges have donated more than $300 million in tuition assistance. Lapchick was the American leader of the international campaign to boycott South Africa in sport for more than 20 years. In 1993, the Center launched TEAMWORK­-South Africa, a program designed to improve race relations through sports and to help with sports development in post-­apartheid South Africa. He was among 200 guests specially invited to Nelson Mandela’s inauguration in May 1994. He attended the funeral service for President Mandela in December 2013. Lapchick is a prolific writer. He is working on his 17th book. Lapchick is a regular columnist for ESPN.com and The Sports Business Journal. He has written more than 550 articles and has given more than 2,800 public speeches. He has spoken in the U.S. Congress, at the United Nations and in the European Parliament. Considered among the nation’s experts on sport and social issues, Lapchick has made numerous appearances on “Good Morning America,” “Face The Nation,” “The Today Show,” “ABC World News,” “NBC Nightly News,” the “CBS Evening News,” CNN and ESPN. Lapchick also consults with companies as an expert on both managing diversity and building community relations through service programs that address the social needs of youth. He has a special expertise on Africa and South Africa. He has made 30 trips to Africa, and African Studies were at the core of his Ph.D. work. Before Northeastern, he was an associate professor of Political Science at Virginia Wesleyan College from 1970­-1978 and a senior liaison officer at the United Nations between 1978­-1984. In 2006, Lapchick was named both the Central Florida Public Citizen of the Year and the Florida Public Citizen of the Year by the National Association of Social Workers. Lapchick has been the recipient of numerous humanitarian awards. Along with Arthur Ashe and Nelson Mandela, he was inducted into the Sports Hall of Fame of the Commonwealth Nations in 1999 in the category of “Humanitarian,” and he received the Ralph Bunche International Peace Award. He joined Muhammad Ali, Jackie Robinson, Arthur Ashe and Wilma Rudolph in the Sport in Society Hall of Fame in 2004. He was inducted into the Central Florida Sports Hall of Fame in 2010 and into the Multi­Ethnic Sports Hall of Fame in 2011. In 2012, Lapchick was honored by the Holocaust Memorial Resource and Education Center of Florida at its annual Dinner of Tribute. He also received the Champions Award from the Alliance of Women’s Coaches, the only male to receive the award in 2012. The Black Coaches Association presented Lapchick with their Distinguished Service Award; it was only the second time they presented this award in 28 years. Lapchick received the Mannie Jackson Human Spirit Award at the 2012 Basketball Hall of Fame enshrinement ceremonies. In 2013, the National Association of Black Journalists gave Lapchick their Pioneer Award. In 2014, the National Basketball Retired Players Association gave Lapchick, Bill Russell and Pat Summitt their Life Achievement Award. In 2009, the Rainbow/ PUSH Coalition and Rev. Jesse Jackson honored him with “A Lifetime Achievement Award for Work in Civil Rights.” Lapchick won the Diversity Leadership Award at the 2003 Literacy Classic and the Jean Mayer Global Citizenship Award from Tufts University in 2000. He won the Wendell Scott Pioneer Award in 2004 and the NASCAR Diversity Award in 2008 for leadership in advancing people of color in the motor sports industry, education, employment and life. He received the “Hero Among Us Award” from the Boston Celtics in 1999 and was named as the Martin Luther King, Rosa Parks, Cesar Chavez Fellow by the State of Michigan in 1998. Lapchick was the winner of the 1997 “Arthur Ashe Voice of Conscience Award.” He also won the 1997 Women’s Sports Foundation President’s Award for work toward the development of women’s sports. In 1995, the National Association of Elementary School Principals gave him their first award as a “Distinguished American in Service of Our Children.” He was a guest of President Clinton at the White House for National Student­-Athlete Day in 1996, 1997, 1998 and again in 1999. He is listed in Who’s Who in America, Who’s Who in American Education, Who’s Who in Finance and Industry, and Who’s Who in American Business. Lapchick was named as “one of the 100 most powerful people in sport” for six consecutive years and as “one of the 100 Most Influential Sports Educators in America.” He was named one of the 20 most powerful people in college sports and one of the 20 most powerful people in sports in Florida. He is widely known for bringing different racial groups together to create positive workforce environments. In 2003­-04, he served as the national spokesperson for VERB, the Center for Disease Control’s program to combat preteen obesity. Lapchick has received nine honorary degrees. In 1993, he was named as the outstanding alumnus at the University of Denver where he earned his Ph.D. in international race relations in 1973. Lapchick received a B.A. from St. John’s University in 1967 and an honorary degree from St. John’s in 2001. Lapchick is a board member of the Open Doors Foundation and the Central Florida YMCA. He is on the advisory boards of the Women’s Sports Foundation, the Alliance of Women Coaches, Harbor House and the Giving Back Fund. He is a founder of the Hope for Stanley Alliance. Under Lapchick’s leadership, the DeVos Program launched The Institute for Diversity and Ethics in Sport (TIDES) in December 2002. In the area of diversity, the institute publishes the critically acclaimed Racial and Gender Report Card, long authored by Lapchick in his former role as director of the Center for the Study of Sport in Society at Northeastern University. The report card is an annual study of the racial and gender hiring practices of major professional sports, college sport and the media in the U.S. that shows long­-term trends over a decade and highlights organizations that are notable for diversity in coaching and management staffs. In the area of ethics, the Institute monitors some of the critical ethical issues in college and professional sport. The Institute publishes annual studies on graduation rates for all teams in college football bowl games, comparing graduation rates for football players to rates for overall student-­athletes and including a breakdown by race. The Institute also publishes the graduation rates of the women’s and men’s basketball teams in the NCAA Tournament as March Madness heats up each year. In another diversity and inclusion initiative, the NCAS provides diversity management training to sports organizations, including athletic departments and professional leagues and teams. The Consortium has already conducted such training for the NBA, Major League Soccer, ESPN, NASCAR and more than 80 university athletic departments. Richard is the son of Joe Lapchick, the famous Original Celtic center who became a legendary coach for St. John’s and the Knicks. He is married to Ann Pasnak and has three children and four grandchildren.